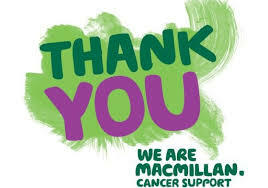 On Tuesday 25th September the school will have a non-uniform day to raise money for MacMillan Cancer Support. Please send your child in any non-uniform for a donation of 50p. There will also be a Coffee Morning from 9:00am until 10:30am. There will be buns, cakes and hot drinks on sale and all other donations will be much appreciated. Please note that prams/pushchairs cannot be brought into the hall for health and safety reasons. We would kindly ask that parents and carers donate buns to the school office from Monday morning to sell at the bun sale. Any buns not sold at the coffee morning will be sold after school on Tuesday. All funds raised will go to MacMillan Cancer Support – you can click here for more information on where the money raised at the Coffee Morning will go.